The ghastly, often brutal regime of the Magdalene Laundries – institutions to which Ireland’s ‘fallen’ women were consigned for more than 200 years, the last closing its doors unbelievably recently in 1996 – has understandably provided a rich, if grim, seam of inspiration for artists, writers and musicians. Dublin-born singer/songwriter Lisa Cuthbert is the latest to give a voice of sorts to the thousands of unfortunate unmarried mothers, prostitutes and mentally ill women who suffered humiliation, virtual imprisonment, abuse and utter despair in these institutions that masqueraded as philanthropic houses of rehabilitation. 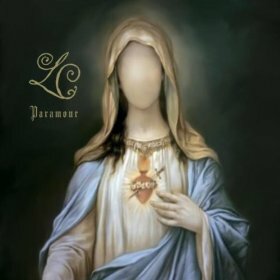 Her concept album – Paramour – is a dark journey through two centuries of almost gothic wretchedness, the historical context in which she places her characters being also studded with references to her own experiences at a convent school. The result is an angry, profoundly compassionate exploration of the lives led by these women, their precarious emotional resilience and survival, the desolation of their faith, and the viciousness of the nuns who ran the ‘laundries’. There is a howling sweep to the album, which peaks regularly in rampaging swirls of rage as Cuthbert gives vent to the universal agony that it is too late to restore justice for these women. The damage runs deep, a cultural wound that is barely healed. From the opening track “Destitute”, the tone is set. Occasionally its relentlessness borders on the excessive – but perhaps that is part of Cuthbert’s purpose: the listener’s submission to the cascade of intense rhythms, Cuthbert’s compelling, soaring vocals and chants, and the false peace promised by an insistent cello, is a metaphor for the helplessness of the fictional protagonists who populate Paramour. There are also moments of real beauty – the heart-breaking “Gartan Mother’s Lullaby”, with its tinkling piano, children’s voices and the distant sound of artillery fire , the richness of “The Balancing Act”, the absorbing ballad “The Sooner You Know”, and even “Madame’s Secret Pain”, which suggests that things were not so black and white for the overseers of these institutions. Is there absolution in the end? Not exactly. The edgy, shifting quality of the closing track, “Party’s Over”, draws a line of sorts, but the overwhelming weight of what’s gone before refuses to die away entirely. Paramour is an imposing and demanding piece of work – and a fitting tribute to generations of women whose lives were blighted beyond reason.